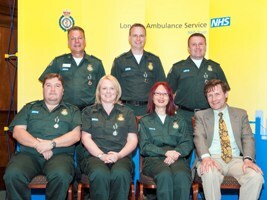 Fourteen staff from across the London Ambulance Service took their place on the start line of this year’s Virgin London Marathon. 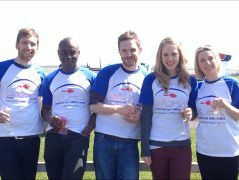 Five paramedics who took to the air on Saturday (20 April) to jump 10,000 feet from a plane raised over £4000 for London’s Air Ambulance. 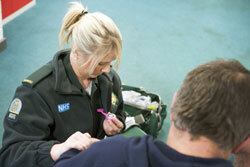 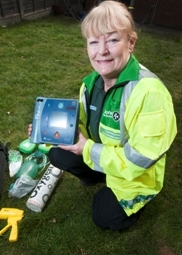 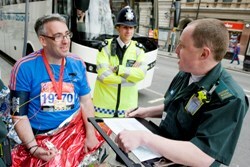 Romford residents can become volunteer community responders working alongside the London Ambulance Service in the area. 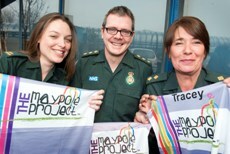 Fourteen London Ambulance Service staff will be taking their place on the start line of the Virgin London Marathon this weekend in aid of the Chief Executive’s charity, The Maypole Project. 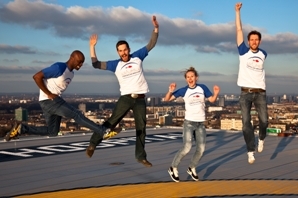 Five fearless paramedics with friends will jump 10,000 feet from a plane to raise money for London’s Air Ambulance.